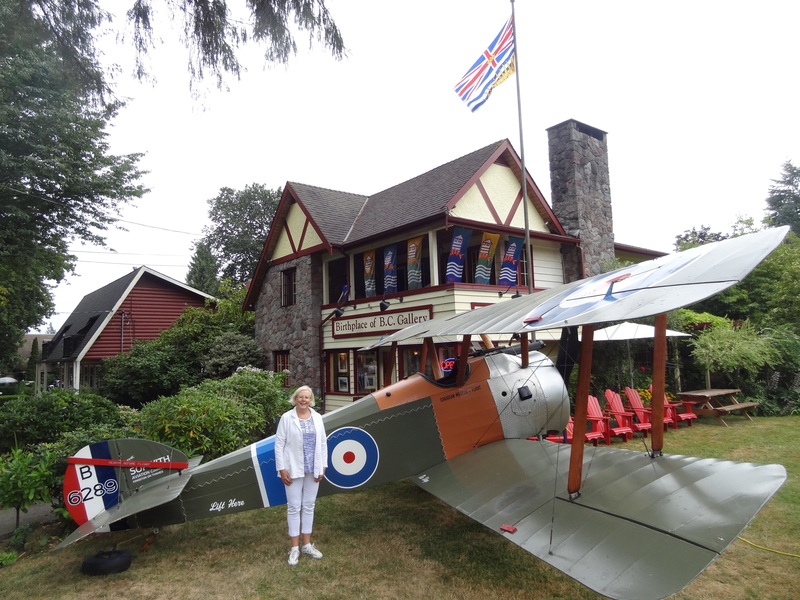 The Sopwith Camel made a terrific landing in the garden of the Birthplace of B.C. Gallery today. The WW1 bi-plane will be on display for the annual Barbados Day celebration tomorrow (Sat Aug 15 – Noon to 4 pm). Come and enjoy the Chicken BBQ lunch by donation to the Canadian Museum of Flight. Live music by the Red Stone Alley Band with special guest Kenrick Headley (famous steel pannist); Barbados Flag Raising ceremony at 1:45 with Governor Douglas, Colonel Moody and historic entourage; Limbo by King Fish; Balloon twisting by The Cool Balloon Guy; Displays by the Flight Museum and the Farm Museum. Birthplace of B.C. Gallery 9054 Glover Road, Fort Langley 604 882-1191. This entry was posted in At the Gallery - NOW SHOWING, Barbados Day, Birthplace of B.C. Gallery, Brenda and Kurt Alberts about town, Caribbean Festival, Community Volunteers Make a Difference, Fort Langley Village News, Gallery Special Events and Workshops, Historic Trust. Bookmark the permalink.